The Canadian government wants to take advantage of low borrowing costs to spend more but they may need to hurry. 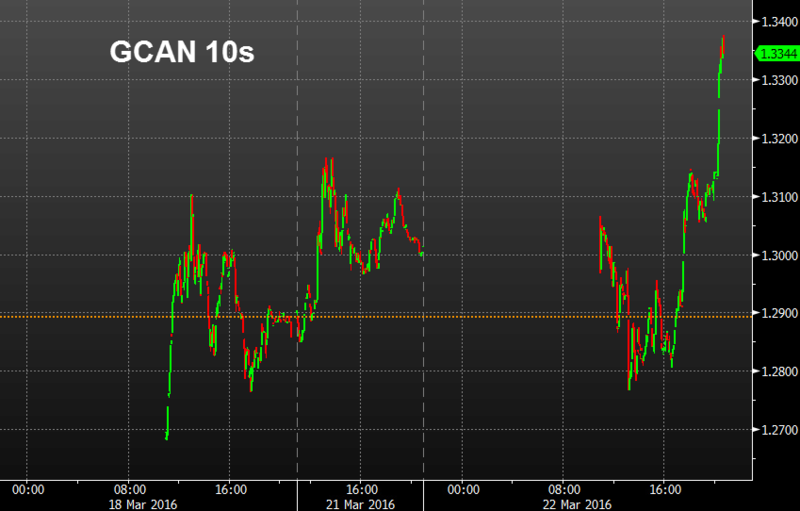 Benchmark Canadian government 10-year yields moved up to 1.336% from 1.310% before the announcement and 1.280% earlier today. A big reason for the jump is amount of debt issuance. The coming year will see 30% more bonds issued than the record set in 2009. Those yields still have a long way to go until they approach the 1.94% that US Treasuries are yielding but the narrower gap could give the loonie a small lift at some point (at least until the deficits get out of control).